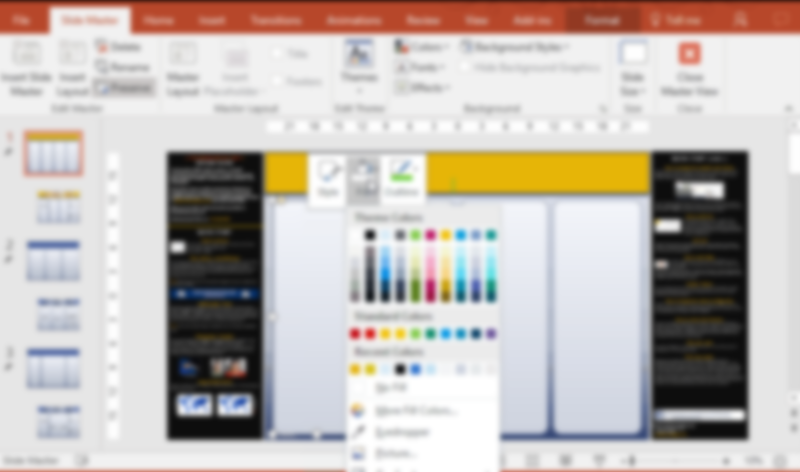 How to customize the colors of your research poster in PowerPoint. 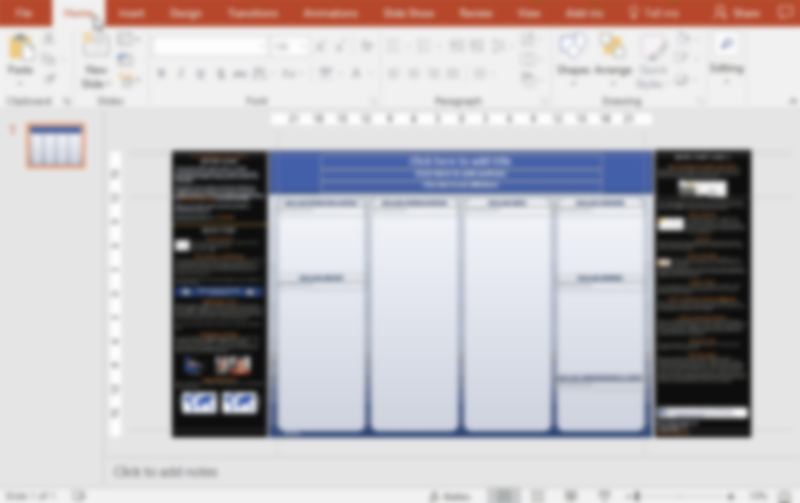 Our professionally designed research poster templates are a good starting point for any poster presentation. But poster presentations are very personal and everyone wants to add their own personal touch to the colors whether it's school colors, business colors or just a personal preference. Our templates make it easy to customize your poster's colors. 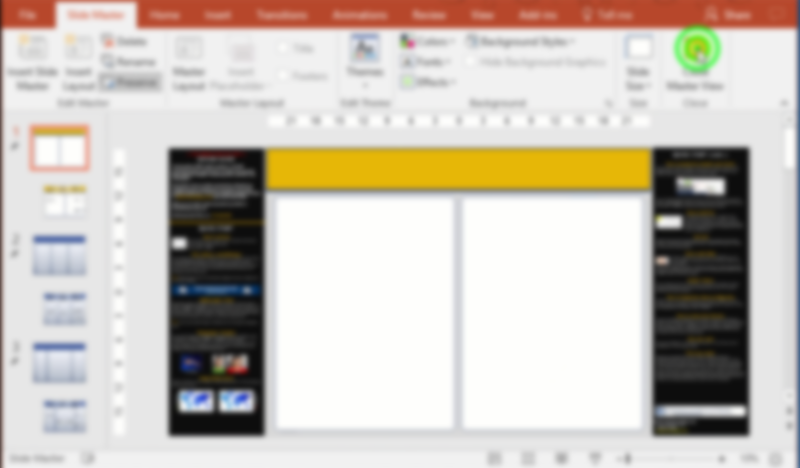 If you are confident in your PowerPoint skills try the first method provided on this page. It will show you how to change the poster colors on the Slide Master which controls your poster's background features. 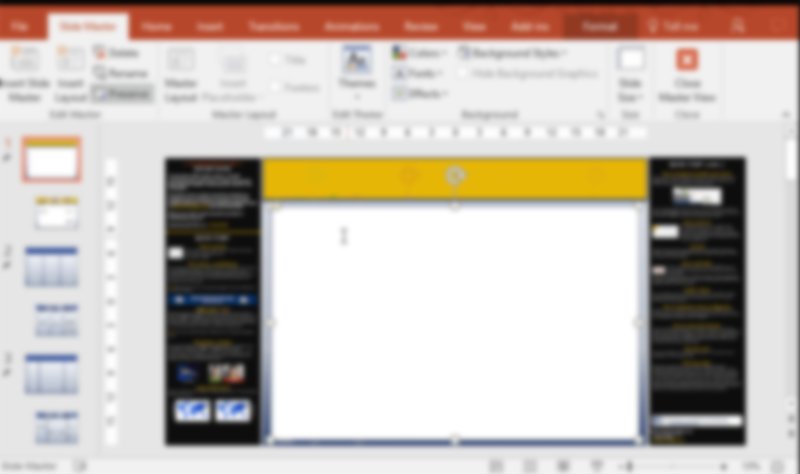 If you will feel intimidated by PowerPoint, you can still change the colors by using PowerPoint's build-in color palettes as shown on the video at the bottom of the page. Click on the "View" tab on top of the screen and then click on Slide Master. Select the top most slide master on the master thumbnails. Once you have your Master slide selected you can edit all the parts of the page. To Edit the title bar click on it to select it and then Right-Click to see the available options. To change the color click on Fill and then on More Colors where you can pick any color you want. You can change the color of the columns the same way as the title bar. Select the column you want to edit, Right-Click on it to see the available options and pick a color from the color picker. You can also change the shape and size of the columns or delete them to accommodate your design. Change the look of the background by placing your cursor on the background of the poster and Right-Click to bring up the "Format Background" options. You can choose to have a solid color, a gradient, a picture or a pattern . You can personalize your poster even further by formating the shape of the columns, changing their size or even deleting them. Every element of the Master can be changed. It is extremely important to close the Slide Master when you have finished with your edits. Click on the "Close Master View" button to go back to the Normal view where you can add your poster's content. ...or do it the easy way. This video demonstrates how to change the colors of your poster presentation template. 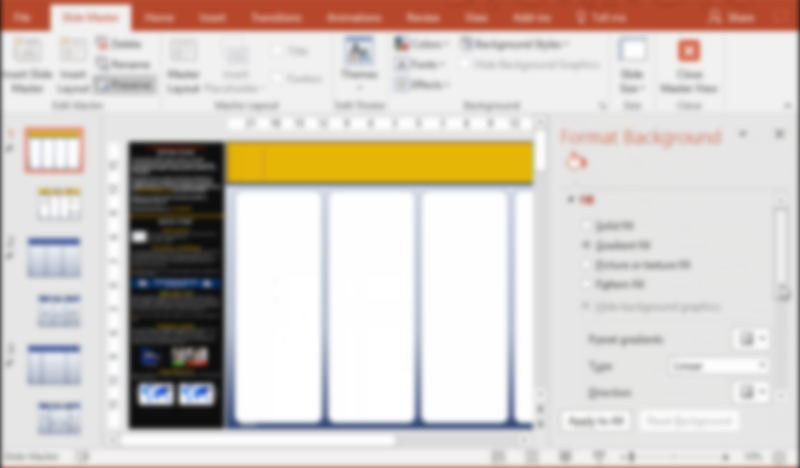 It shows how to change the overall color of the poster template by using PowerPoint's built-in color schemes.